This vignette will show the basics of the leadr workflow. To see how leadr supports more advanced ensemble model building, check out my Ensembles vignette. leadr is designed to create one leaderboard per R project per dataset. Currently, the leaderboard works best placed at the project root, with any number of subdirectories to save the models. Let’s build some models. We can easily build a list of models using purrr::map. We can also purrr the models into our leaderboard. This time we use purrr::walk to update the leaderboard while returning quietly. By default, board saves the models into a folder at the root of the project called models_one and returns a tibble that provides us with everything we want to know about the model. The tibble gives us the ranking and metric score, as well as lists like tune, index, and seeds that allow us to exactly recreate the model. Of course, fitting four random forest models on the same dataset isn’t very realistic. We’d like to fit a variety of models and compare the accuracy. Let’s use the index column of the leaderboard to fit a new model on the same bootstrap resamples as the first model. 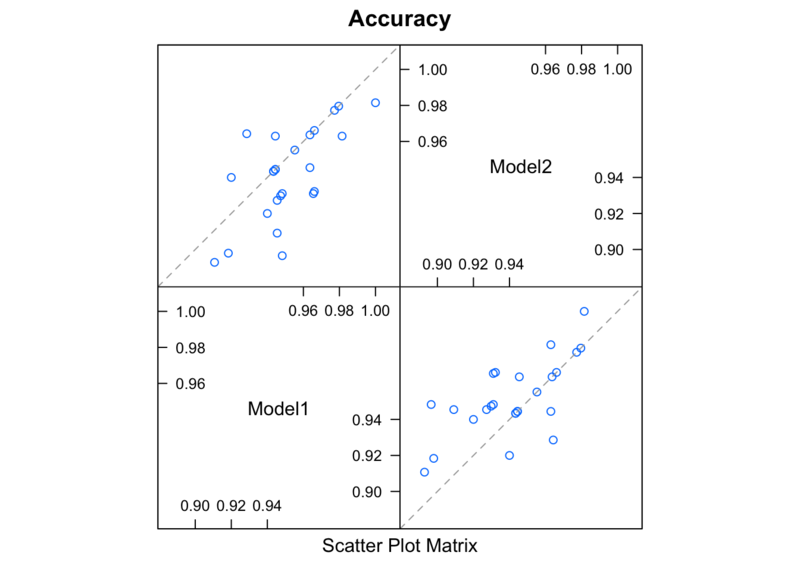 caret has a nice set of functions to compare models trained on the same bootstrap or cross-validation index. To find these comparable models, we can filter on the group column and use leadr::to_list() to convert the filtered leaderboard to a list of models. leadr::peak also takes a variable number of inputs. If we want to compare the last model to the first model, it will return the smallest tibble that contains both. If it is 20 rows or under, it will print the entire tibble. Thanks to pillar and crayon, leadr::peak also has special printing when used in a supported console. Here is an example of peak in the RStudio console. Notice that it highlights the peaked models in the console output.